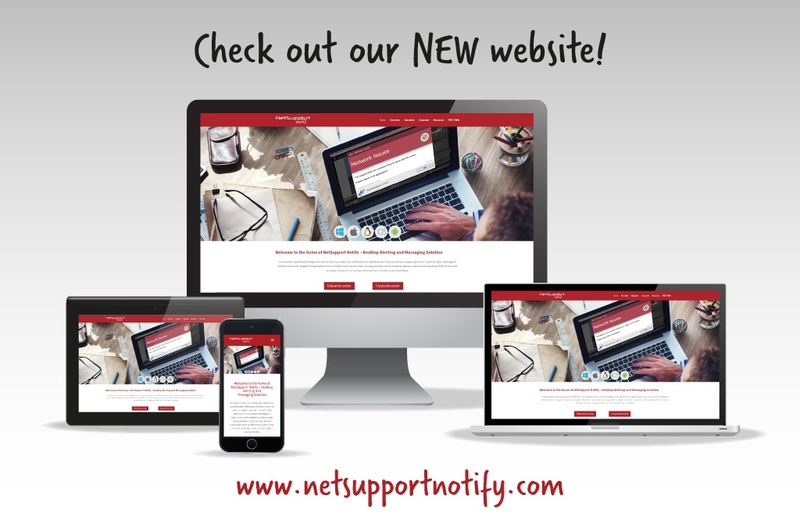 We are excited to announce the launch of our newly updated website, www.netsupportnotify.com. The new responsive design enhances user experience, with easily accessible information and an easy-to-navigate layout. New content, including dedicated pages for Education and Corporate sectors, helps visitors learn more about NetSupport Notify and the features specific to their needs. With a range of new and updated product resources, visitors can browse customer case studies and read industry reviews to find out what others think of the product itself. In addition, they now have the ability to request product demonstrations, chat online to the NetSupport Team, use the ‘contact us’ form to ask any questions – or simply sign up to receive future communications. To explore the new website, visit www.netsupportnotify.com or watch our short video here.